We are all attracted to power; be it sleek, fast cars, awe-inspiring jaw-dropping pacific coast waves, or the highest peak of an enormous, snow peaked mountain. It stops you, your eyes cannot be pulled away, you want to understand it and be a part of it and feel it if you can. Power comes in many forms – in wine it’s in the texture, the feel and the weight. Wines with powerful tannins are alluring and leaves you wanting more… power can be addictive. It’s all a matter of how far you take this attraction. 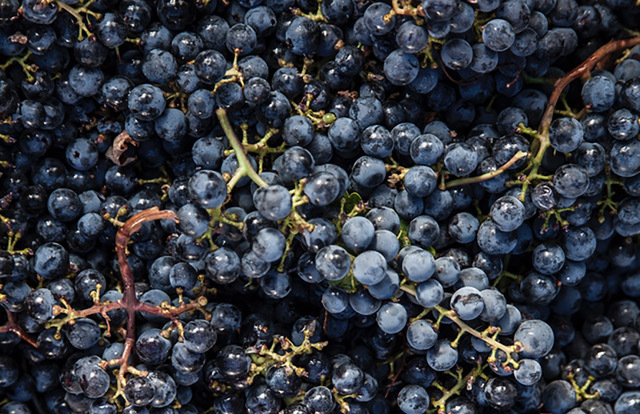 Tannins are one of the most fascinating components in wine. It’s why we, Justin and I both -- as winemakers are attracted to Cabernet Sauvignon. A varietal with definite muscle. The size and heft is up to you as the maker. We prefer sleek, elegant and mouthwatering tannin structure, not overpowering nor heavy yet soft and supple with toned muscle. And what it takes to manage these tannins is our most fascinating conversation each year -- tannin management. What are tannins exactly? They are polyphenolic compounds that bind to and precipitate proteins – and is the simple definition. Tannins are important to wine in a number of ways: they act as a preservative for long-term aging; they provide structure (reds with too little seem flabby); they add a slight bitterness for flavor complexity; and their astringency extends a wine’s finish. Tannins appear in many plants – think tea leaves and coffee beans. As winemakers, there are many ways to tame the tannins yet ultimately each season, each year and individual varietals have differing levels of tannin structure. This is also why we strongly believe in a blend of our Bordeaux varietals where varying components soften the wines with different levels of tannin structure. Softening the skins during fermentation, the heat of the fermentation, and ultimately the years’ gift of harvest is what we have to work with. In other words, a bit of luck. It’s taking what have and creating a wine of place. Older, aged wines and lengthy wet, soft tannins is who we are. As a winemaker one must strongly believe in what you do, do what we believe. Attraction is what makes it all tick.